Delora Davis Pugh, of Pleasant Grove, passed away peacefully January 18, 2019. Delora was born in Provo, Utah, to Dean L. Davis and Margaret M. Muhlestein on May 27, 1928. She was the fifth of seven children. She married Rollace A Pugh February 12, 1947, and was later sealed in the St. George Temple in November 1954. Delora was raised in a loving and tight-knit family that taught her unconditional love which she shared with everyone. Her siblings, Bud, Dennis, Faye, NaDean, Neil, and Eldon, and their spouses, were her best friends and support throughout her life. A few years after marrying Roll he made a career in the Navy, which moved their family from coast to coast and many places in between. Because of this they made many friends and Delora always said that during these moves the Church of Jesus of Latter-Day Saints became her family and she never felt alone. She loved serving in several positions in the many wards and branches she attended, including being Relief Society president multiple times, and in Young Women and Primary presidencies. 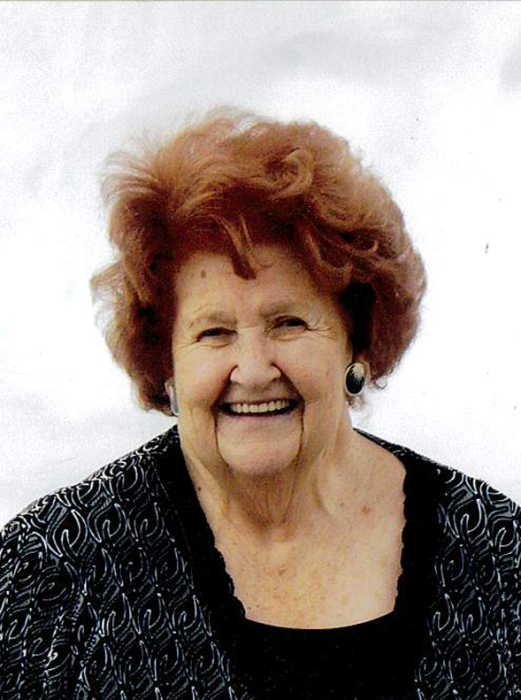 After Roll passed away she served missions in Toronto, Canada, in the Family History Center in Salt Lake City, Utah, and as a Ward Missionary in her home ward. She served in both Provo and Mount Timpanogos temples. Her faith in and testimony of the gospel of Jesus Christ is an example to all of her family. Delora and Rollace were blessed with five children, Rollene (Bobbie), Randy, Katherine (Cathi), Wendy, and Steven. One of mom’s greatest trials in life was the passing of both her young boys within 10 months of each other, however this trial helped to strengthen bonds within the family. Rollace passed away in 1989, so we know there is a joyful reunion happening with Delora and her boys. Although 16 grandchildren, 48 great-grands, and 3 great-great-grands call her Grammy, to hundreds more she was an adoptive grandmother known as “Grandma Friendly,” hosting an annual “Grandma Friendly’s Carnival” for over 20 years. Children and babies were her love in life and she never passed up an opportunity to love on any child. She is survived by her baby brother Eldon (Colleen) Davis (Pleasant Grove, UT), her children Bobbie (David) Witzel (SLC, UT), Cathi (Randy) Miller (Maricopa, AZ), and Wendy (Eddie) Clark (Pleasant Grove, UT). Funeral services will be held Monday, January 28, 2019 at 11:00 a.m. in the Timpanogos Fourth Ward Chapel, 425 East 500 North, Pleasant Grove, Utah. Family and friends may attend a viewing Sunday evening January 27, 2019 from 6:00 – 8:00 p.m. at Olpin Family Mortuary, 494 South 300 East, Pleasant Grove and at the church from 9:30 – 10:45 a.m. prior to the services. Interment will be in the Pleasant Grove City Cemetery. Condolences may be sent to the family at www.olpinmortuary.com.